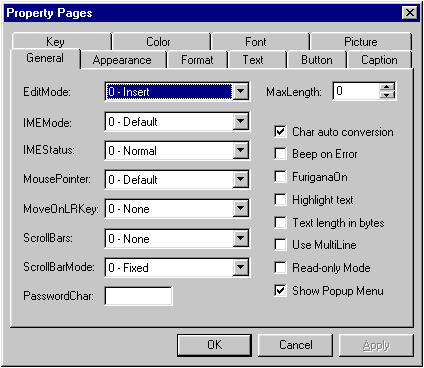 The following sections show the property pages that have been implemented in the TDBText control. When you open the Property Pages dialog box, the first page displayed is the General property page. However, to make them easier to find, they are listed here in alphabetical order by name.